Home » Natural Ingredients » What Is Watercress? Watercress (Nasturtium Officinale) is a lively and fast-growing aquatic (or semi-aquatic) plant found natively in Europe and Asia. In fact, Watercress is one of humanity’s first-consumed leafy vegetables. Watercress is related to other common plants and vegetables such as mustard greens, radish, arugula, and wasabi. The stems of the Watercress are hollow, allowing the plant to float on the surface of its habitat. 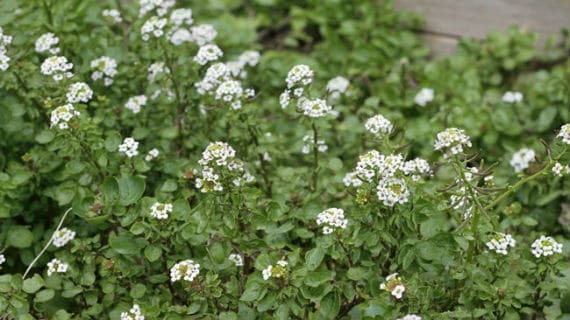 Watercress produces small green and white flower clusters when in bloom. Watercress (Nasturtium Officinale) is different than Ipomoea aquatica, sometimes referred to Chinese Watercress, which is commonly found in Southeast-Asian cuisine. Watercress (Nasturtium Officinale) has been cultivated throughout the Western world for hundreds of years as both a source of nutrition and medicine. What Are the Health Benefits of Watercress? Watercress has over 15 of the essential vitamins and minerals—including more iron than the trendy spinach, more calcium than a glass of milk, and more vitamin C than an orange. Moreover, in 1636 an herbalist named John Gerard clamored for Watercress to be a treatment for scurvy—due to Watercress’ vitamin C content being far more available than oranges back then. Get your daily dose of watercress inside of Bust Bunny supplements! Get 10% off using coupon code “watercress” or CLICK HERE to have it instantly applied. 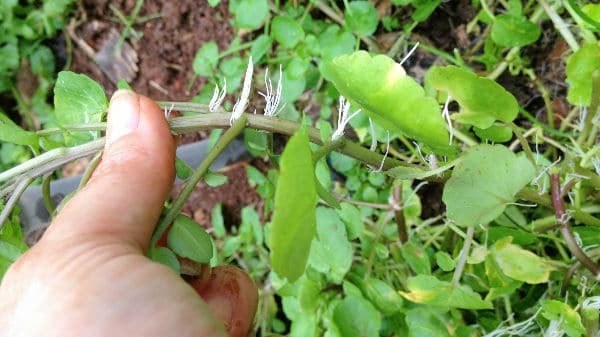 This led to Watercress being a staple in the diets of the crew of one James Cook, a captain in the British royal navy who was also a cartographer and navigator. Cook and his crew were able to circumnavigate the globe three times with very little incidents of scurvy thanks to his crew’s Watercress-filled diets. A more contemporary purpose for the vitamin C found in Watercress would be for neutralizing the common cold or flu. In fact, Watercress earned its mettle as a healing herb as far back as 400 BC, when Hippocrates’s healing clinic on the island of Kos was specifically built next to a stream, ensuring Watercress was available for the treating as patients, especially for blood disorders. One of the biggest health benefits of Watercress is its capacity for disease-preventing antioxidants. The stem and leaves of Watercress also contain phenethyl isothiocyanates, which have cancer fighting properties. Antioxidants such as carotene, zeaxanthin, and lutein aid in the fighting of lung and mouth cancers and is prevalent within Watercress. Vitamin K is Watercress’ most common vitamin (around 312% of the daily recommended value). The vitamin K found in Watercress helps strengthen bones and can even help to limit damage to the brain caused by Alzheimer’s disease. Watercress is then a great addition to your diet to help prevent the onset of osteoporosis. Perhaps the best example of the health benefits of Watercress can be found within the study performed by the University of Southampton which states that the compound stated above, phenethyl isothiocyanates, can block the process of tumors receiving oxygen and nutrients by “turning off” a process called the Hypoxia Inducible Factor (HIF). The study involved a group of recent breast cancer survivors who fasted before eating 80g of Watercress, followed by a blood sample 24 hours later. The study showed that following the ingestion of Watercress, significant levels of phenethyl isothiocyanates were found in the blood which also showed the HIF was measurably affected within the blood cells. Breast cancer is the most common form of cancer in women, affecting 1 in 9 women during their lifetimes. With more time and study, Watercress could be an integral ingredient in slowing breast cancer altogether. Watercress is used in many dishes around the world, including various soups and salads. Recent trends have found Watercress to be delicious in juicing diets, to offer a bit of taste and nutritional value. To get the most out of Watercress, it’s recommended that between 85-100g of the plant is used in your diet daily. The biggest case for how Watercress makes breasts bigger is the rich amounts of vitamin E found within the plant. Vitamin E supports breast development by strengthening the blood vessels which carry nutrients to your breast tissues. Much like Chasteberry, Watercress promotes the production of milk in nursing mothers. Watercress, then, is a wonderfully natural way to increase the size of your breasts. Not only will Watercress help increase the size of your breasts, but the vitamins and nutrients found inside will strengthen the overall health of your breasts. With all the benefits listed above, Watercress was an easy decision to add to Bust Bunny. What Are the Side Effects of Watercress? Found most commonly in salads and soups, Watercress is remarkably safe to consume with little-to-no side effects. However, due to the acidity of Watercress, it’s not advised to consume if your have stomach or intestinal ulcers. Additionally, please don’t consume copious amounts of Watercress if you have kidney disease. 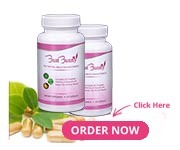 With Watercress being an ingredient in Bust Bunny Breast Enlargement capsules, most women will see a noticeable change in their bust size. The herb is all natural, and is considered safe by the FDA (it is listed on their Generally Regarded as Safe list, or GRA). 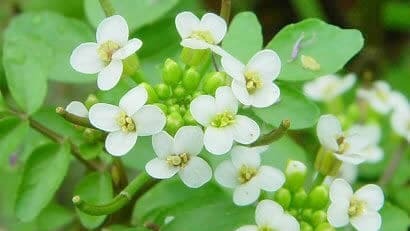 Watercress has been used to assist mankind for many years, and will aid in your breast growth journey. Start your breast enhancement journey today and get 10% off using coupon code “watercress” or CLICK HERE to have it instantly applied.